Flybe say that they are seeking driven, aspiring aviators to be part of their ambitious vision for European expansion, and have partnered with L3 Airline Academy (formerly CTC Aviation) to deliver its MPL (Multi-Crew Pilot Licence) Airline Pilot Career Programme. There are currently six places available for aspiring pilots to join the L3 Airline Academy MPL in partnership with Flybe. 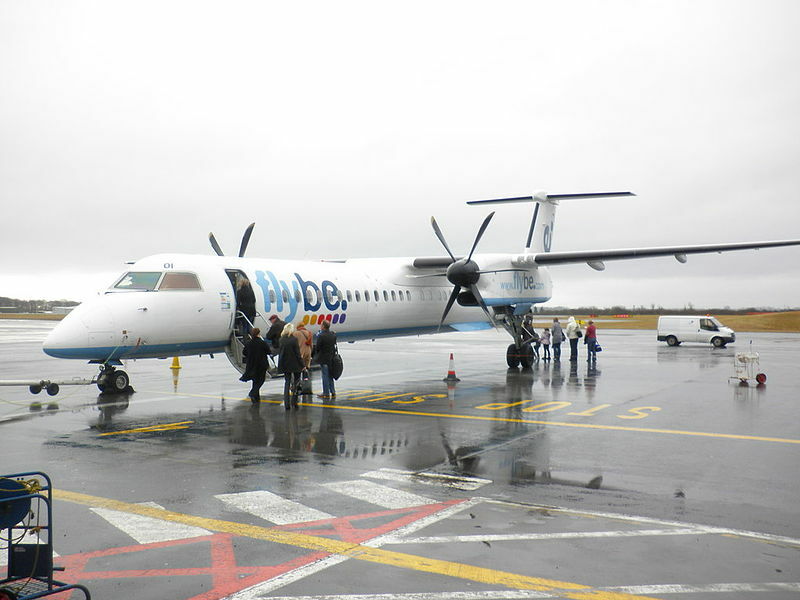 This airline pilot career programme leads directly to a job as a Dash-8 Q400 First Officer, flying regional and European routes across Flybe’s European network. The programme also offers the opportunity to complete a BSc Honours Degree in Professional Aviation Pilot Practice in partnership with Middlesex University, alongside training and provides access to L3 Airline Academy’s Training Sponsorship, which includes a Training Security Bond. Flybe announced the launch of the programme at L3 Airline Academy’s Pilot Careers Event at its Southampton Training Centre on Saturday 3rd June, here visitors had the opportunity to meet with Flybe pilots and L3 Airline Academy’s selection, training and careers advice staff. • To be at least 18 years of age to commence training. • Have the unrestricted right to live and work in the European Economic Area (EEA) or Switzerland. • Hold a minimum of 5 GCSEs (or equivalent) at Grade C or above including Maths, English and a Science (single or dual award). either 2 A Levels or academic equivalents at Grade C or above, OR an Honours Degree at 2:2 or higher (also acceptable are higher degrees such as Masters or Doctorate). Vocational equivalents are also acceptable. • To be fluent in English (verbal and written). • Produce a CRC (Criminal Record Check) basic disclosure certificate before training can commence. • Minimum height 5ft 2in(157 cm) maximum height 6ft 3in (191 cm). • Be able to obtain an EASA Class 1 Medical without restrictions prior to commencement of training. L3 say that the funding required for the complete MPL in partnership with Flybe is £94,800, which comprises of a Training Security Bond of £69,000 (paid in 13 instalments) and an MPL Training Fee of £25,800. Applications are now open for “a very limited time”.